Addictions are more than simply having a strong desire for something. They change an individual's behaviour so that they must satisfy their addiction. This is why the term 'dependence' is often used. Research using brain imaging has demonstrated that addictions alter brain structure and function. It's perhaps not surprising then that many people find it so difficult to overcome their addictions. Addictions can cause immense unhappiness for those who have them, whether through personal experience or because friends or family suffer from them. 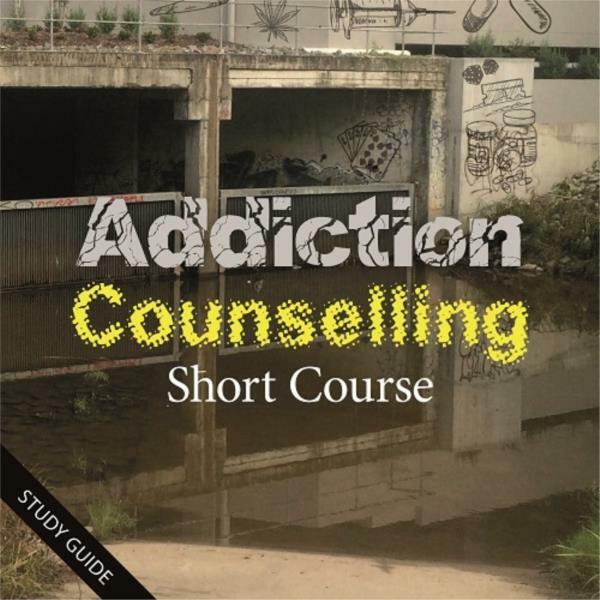 This short course is designed to appeal to anyone who works with people who have problems with addictive behaviours from drugs and alcohol through to shopaholics. Many types of addiction are covered and the process of addiction is explained both behaviourally and physiologically. 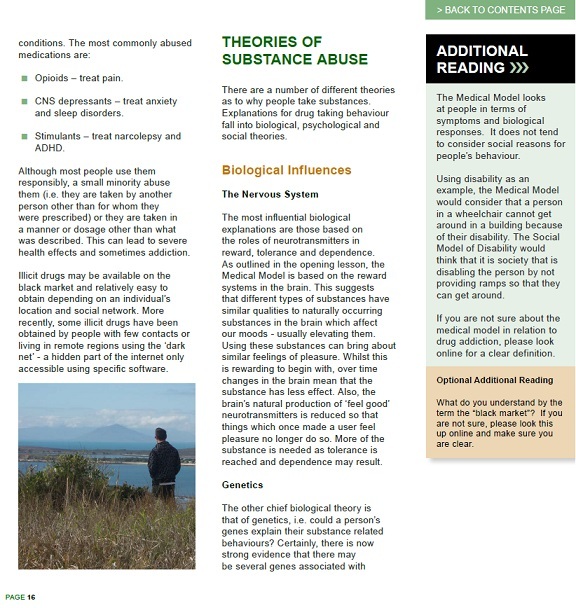 A variety of counselling methods and techniques are also reviewed so that students should be able to develop different solutions to help those whose lives are affected. You won't miss anything important that you need to know about stress management though; so long as you read the notes that are presented alongside these "learn more" suggestions. How Long Does Alcohol Stay in Your Bloodstream? Whilst many people often use more than one substance, a diagnosis is usually made on the basis of the substance which is considered the most important one to the person. The DSM-IV used the term ‘poly-substance related disorder’ to refer to those who have more than one prevalent substance use disorder or who use indiscriminately, but the most recent DSM suggests to record each diagnosis of a substance use disorder separately. Hallucinogens include psychedelic drugs like LSD (lysergic acid dyethylemide) and mescaline. 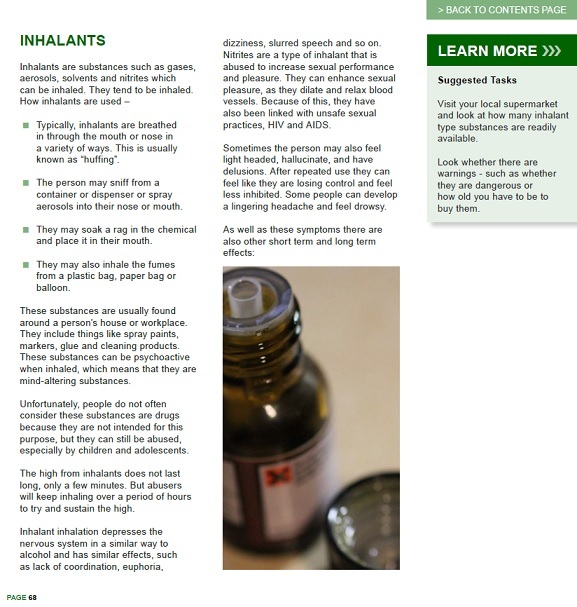 Inhalants are drugs which are sniffed. They can include drugs such as amyl nitrate which is volatile at room temperature when exposed to air, as well as aerosol and glue vapours which are often sniffed from polythene bags. Opioids are synthetic medications which are used to treat pain. Examples include oxycodone, hydrocodone and hydromorphone. These are very similar to opiates like morphine and heroin in their action on the nervous system but they are not derived from opium. Sedatives, hypnotics and anxiolytics are depressants - they are said to produce a ‘downer’. Sedatives are tranquilisers intended to reduce overactivity or irritability. Benzodiazepines are an example. 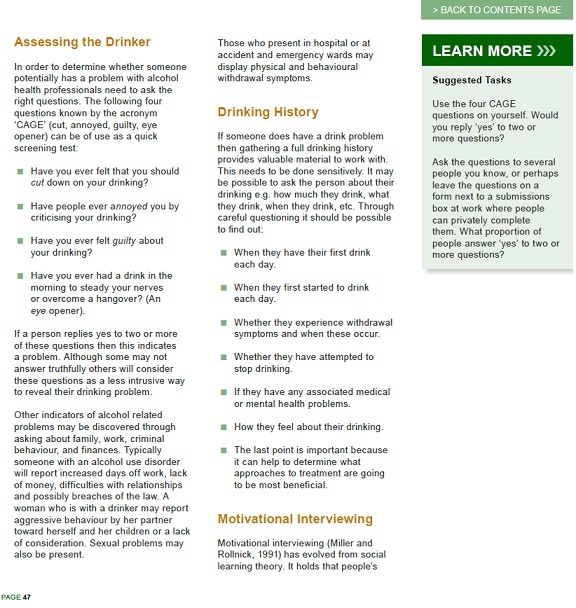 Alcohol produces similar effects. Hypnotics are intended to induce sleep and are also known as sleeping pills. Anxiolytics are intended to reduce anxiety symptoms. the likes of amphetamines and cocaine. When we look at addictions to substances one of the first questions which springs to mind is “Why do people take drugs?” As we have already seen, one of the reasons is because they can get ‘high’ but is that why all people take drugs? The answer, of course, is no. In fact, the first time of taking a substance such as nicotine, opiates or alcohol can be dysphoric and even cause nausea, yet people often take it again. People may take drugs to overcome psychological or physical pain. They may take them to treat diseases, or to try and gain insight into the human condition through altered states of consciousness. Sometimes people want to move from a depressed state of mind to a less depressed one or from a negative state of mind to a less negative one. The effects of any given drug for each person can be quite different. Another reason people may take drugs is because they are available. Some, like alcohol and nicotine, are freely and legally available. Others have developed dependence to prescribed medications. In particular, many people became addicted to opioids and barbiturates prescribed by doctors in the early part of the twentieth century, and later to benzodiazepines. At the end of the course you will be able to describe the main addictive substances; you will understand how these chemicals act in the body, what the effects are and the behaviour changes. You will also learn where to find resources and services to help those drug addicts.